I’ve heard a lot about this book, so I was glad to finally have the chance to read it. It’s a thin book with lots of white space so I was able to read my library copy in one afternoon. And I had to read it in one afternoon, because I couldn’t put it down! 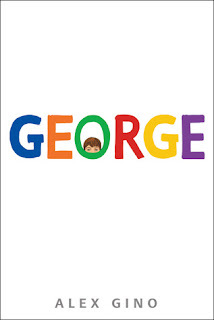 George by Alex Gino was published by Scholastic Press in 2015. This is the first time I’ve read a middle grade book with a main character who is transgender. I really felt as though I was seeing the world through Melissa’s eyes. This book had funny moments, sad ones, heartbreaking ones and hopeful ones. It made me think about the importance of respecting and accepting others for who they are. I think everyone should read this book. Even though it never comes across as trying to teach a lesson or send a message, it definitely makes you feel compassion and the need to stand up for anyone who is bullied for being different. I also really enjoyed the scenario of the Charlotte’s Web play, since I’m a big fan of that story too. It was so effective to write this story from Melissa’s perspective as a girl even though outwardly she appears to be a boy. The idea that she hasn’t been ready or able to share this part of herself with anyone else comes across clearly in the novel. I’d love to read this book again to study the language and dialogue, which seemed so appropriate for the age group. Alex Gino began writing George in 2003, and it was a long process with many revisions to create the finished novel. Alex Gino is currently at work on another middle grade novel, which incorporates issues of deafness, racism and police violence. 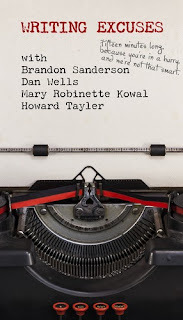 To find more great books to read, visit author Shannon Messenger's blog for a list of other bloggers who are featuring middle grade books today. Since I missed posting my podcast picks for August, I’m including a couple of extra ones today. 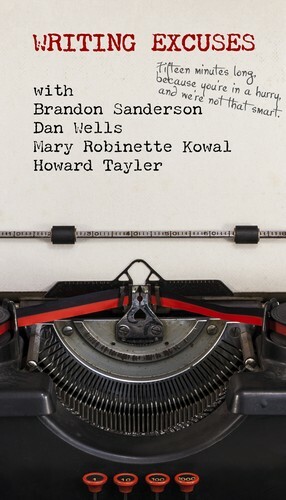 Such useful discussions on a hard-to-get right aspect of fiction writing. I will be listening to these more than once. Katie and Laura discuss The Picture Book Summit, how Laura became an editor, what it’s like to write a rejection letter, why age is an advantage in your writing, and how picture book readers are more sophisticated today than in the past, among other things. I’ve heard a lot about Laura Backes and I was happy to learn more about her and her career. I was especially interested in her insights as to why editors prefer shorter picture books at present and what children experience when reading shorter picture books. Charlie Kaufman and Sufjan Stevens, inspiration vs. discipline, being “Corey” vs. being “author John Corey Whaley”, the upside of being a process-hacker, the difference between normal jobs and writing, imposter syndrome, movies, identity crises, and why we write and the fear of losing it. 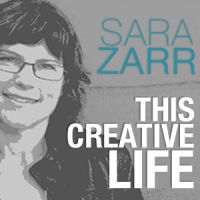 Yes, John Corey Whaley and I covered it all in this episode of This Creative Life! I hope you enjoy it as much as we did – I think you will. I found this conversation really interesting, especially the discussion about how his “follow up book” didn’t turn out to be the right one for publication. Katherine Applegate (@kaaauthor), author most recently of Crenshaw, published by Feiwell and Friends (@FeiwelFriends), and recipient of the Newbery Award in 2013 for The One and Only Ivan, stops by to talk about considering sound more than plot, a sophisticated and charming way to deal with things, and finding just the right word. 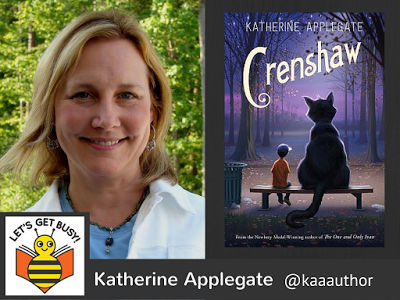 I'm a big fan of Katherine Applegate's books, so I enjoyed hearing her talk about writing and especially her recent middle grade novel, Crenshaw. I haven't read it yet, but I'm looking forward to doing that soon. My choice last week was for younger middle grade readers, so this week I’m featuring a book for older ones. This is an emotional story that includes some scenes with alcohol and also truancy, but the issues of family and friendship will pull readers into the story. When Apple's mother returns after eleven years of absence, Apple feels almost whole again. In order to heal completely, her mother will have to answer one burning question: Why did she abandon her? But just like the stormy Christmas Eve when she left, her mother's homecoming is bittersweet. It's only when Apple meets her younger sister, Rain-someone more lost than she is- that she begins to see things for how they really are, allowing Apple to discover something that might help her to feel truly whole again. 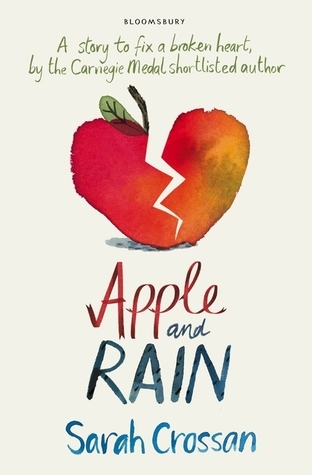 Apple and Rain by Sarah Crossan, Bloomsbury, 2014. Apple is starting to feel a need for more independence and feeling constrained by her grandmother’s rules when her mother returns and offers another way of life. Except it doesn’t turn out to be as easy as Apple hopes, especially when she discovers she has a younger half-sister. I got quite caught up in the story and wanted a happy ending for Apple. It was hard to go through some of the experiences with her, such as being disappointed by her crush, and realizing what her mother was really like. I loved the way she turned to writing poetry to express her feelings. As a writer, I admired the author’s poetic writing style. There are no unnecessary words but I can picture the story so clearly in my mind. This is a novel where the white space is as important as the text. Sarah Crossan used to be an English teacher, but she now writes full time. She lives near London, England. Other books she has published include the YA novels Breathe, Resist, The Weight of Water and most recently, One. I always enjoy stories that try to show me how to do the impossible! (Kind of like washing your dog after it runs into a skunk, which I had to do earlier this summer.) Anyway, this book is a lot of fun and a good one to use with students to explain how to write step by step instructions in a fun way. Things can get a bit messy when you try to wash a woolly mammoth. Follow this step-by-step guide to successfully clean up your hairy friend. Be forewarned! A mammoth's tummy is terribly tickly. 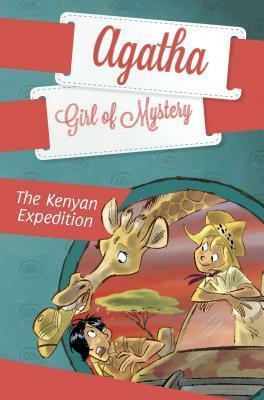 Young readers and parents alike will appreciate this hilarious bath time adventure. 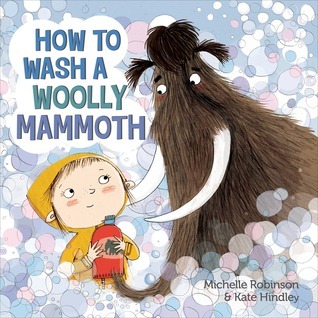 How to Wash a Woolly Mammoth was written by Michelle Robinson and illustrated by Kate Hindley, published by Henry Holt and Company, 2014. This story has a fun concept that captured my attention. It’s written as a series of steps, an interesting story structure to try if you’re wanting a new approach to story writing. The illustrations add so much humor and life to the text, especially the expressions on the mammoth’s face. The author, Michelle Robinson, has an interesting and useful Ten Minute Story Making Masterclass. The step by step instruction format is a great model for young writers who are learning to write procedures. I’d love to discuss the character’s creativity and ingenuity in problem-solving in a group discussion, talking about going beyond the obvious, and how sometimes you need to try more than one idea or be persistent to get something to work. I also enjoyed the different washing products illustrated inside the front cover. They could be used as a model for an art or media activity. And I liked the way the illustrations were labeled Fig. and shown on graph paper, demonstrating scientific illustration. Create a plan for how to do something using pictures and labels. Brainstorm a list of different ideas for how to get a mammoth down from a tree and write a different ending for the story. Watch the video with Michelle Robinson to learn how an author uses a "web" to brainstorm story ideas, and give it a try. I actually like frogs and even wrote a novel about a toad (close cousin to a frog). But I can see why someone might want a different life sometimes! This cute story is short and a fun read for preschoolers. 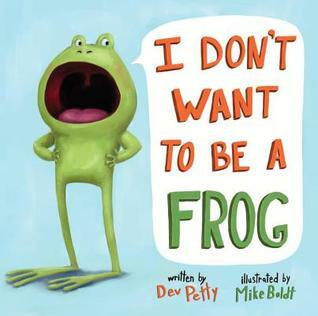 I Don’t Want to Be a Frog was written by Dev Petty and illustrated by Mike Boldt. Doubleday, an Imprint of Random House Children’s Books, 2015. This book has a fun book trailer! This book is interesting because it departs from the usual structure with several attempts to solve a problem. The conflict comes from the child frog’s internal wish to be something else, and is solved when a new character suddenly comes into the story. Breaking traditional rules of structure works here since the whole book creates a very believable conversation between child and parent. Dynamic illustrations and facial expressions bring out the humor in the story. A great partnership between writer and illustrator. I’d use this story to promote discussion about feelings. It’s a great one for encouraging students to think about another person’s perspective. It puts the reader right in the shoes (or feet) of the child frog to look at the world from his point of view. This story might also be used to teach about how to write dialogue or use speech bubbles, since most of the story is presented through speech bubbles. Choose an animal at random and write a list of reasons why or why not you might not like to be the animal. Or, take one of the animals from the story that the frog wanted to be and discuss the reasons why he might want to be that animal. Make frog puppets (and a wolf) and retell or act out the story. Do some research and create a mini book of interesting facts about frogs that other people might not know.